The advance of digital and mobile banking has depersonalized the banking industry. But 50% of customers still visit the bank instead of or in addition to using banking software. Why? Linqto’s focus group research with banking customers reveals the primary reason for visiting the bank is trust in their bankers. It is not about the software. Banking is a relationship business. Many bankers have 30 years of banking experience. No dropdown menu can include the knowledge of a banker who has been in the business for that long. Instead of closing physical branches why don’t we find a better use for them? A modern digital savvy one, for instance? We can find house listings online today in any market we choose. 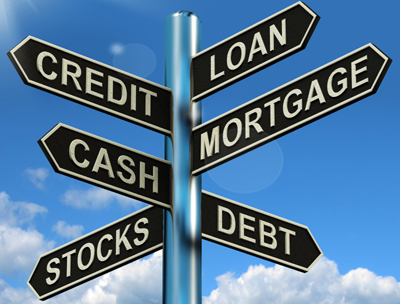 Still, according to the National Association of Realtors, “From 1991 to 2011 the share of home sellers who used a real estate agent or broker to sell their home increased from 77 percent to 87 percent.”When our finances are invloved, we want the help of an expert. Any service (banking included) includes the experience. Experience builds confidence, brand awareness and creates an emotional connection with the customer. 100% online presence doesn’t work for some industries. Particularly for one that deals with peoples’ life savings. 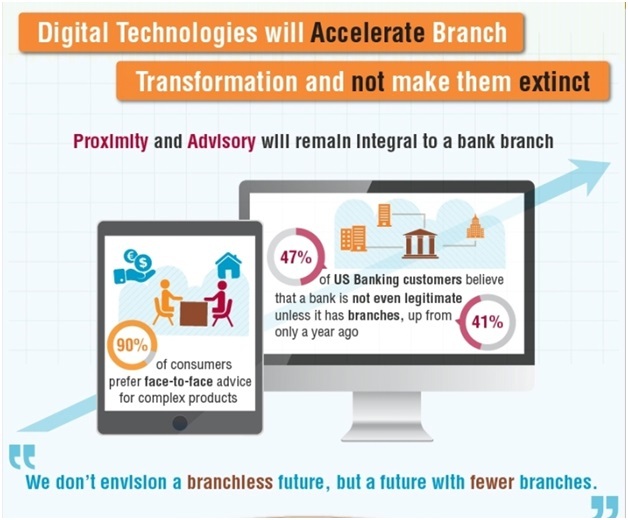 47% of US financial institutions’ customers think that a bank has to have branches. For them, “branchless banks” would lose their legitimacy. So there is a spark between the branches and the customers that transcends spreadsheet analysis. According to a recent American Banker article, a Sanford C. Bernstein report recommends regional and midsize banks close a significant number of branches throughout US. This one-size-fits-all solution to cutting costs could be replaced by a more strategic approach, such as joining digital and brick-and-mortar into a new integrated banking strategy. A bank teller’s education and experience cannot be erased. It should be refocused and re-channeled on other purposes, for instance advisory services. Instead of closing branches, bankers can now capitalize on digital technology and use bank representatives’ knowledge, making it accessible for their clients. Utilizing the latest tools in digital banking, under-utilized personnel in remote locations can interact directly with customers in higher density locations. Linqto’s Personal Banker is a software application that does just this by introducing a real-time video conversation with an actual, on-duty, banker into the financial transaction. Whenever you use mobile or online banking and need the assistance of a bank representative, simply click the “My Banker” button available on your bank’s website or mobile app. Gives face-to-face banking a totally new dimension, by making it equally remote and human. Improves customer services and optimizes downtime. Tellers from less-busy branches can assist online customers who are waiting in the virtual queues. This means there’ll be no more peak times for some tellers and shorter wait times for clients. Read more about the Linqto Personal Banker.